Ecobank Tanzania Limited opened its doors in January 2010 and has since grown to include 9 branches across the country. 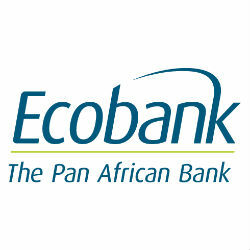 It is a subsidiary of Ecobank Transnational Incorporated (ETI). It currently has a presence in 36 African countries, namely: Angola, Benin, Burkina Faso, Burundi, Cameroon, Cape Verde, Central African Republic, Chad, Congo (Brazzaville), Congo (Democratic Republic), Côte d’Ivoire, Equatorial Guinea, Ethiopia, Gabon, Gambia, Ghana, Guinea, Guinea Bissau, Kenya, Liberia, Malawi, Mali, Mozambique, Niger, Nigeria, Rwanda, Sao Tome and Principe, Senegal, Sierra Leone, South Africa, South Sudan, Tanzania, Togo, Uganda, Zambia and Zimbabwe. The Group is also represented in France through its affiliate EBI SA in Paris. ETI also has representative offices in Dubai, United Arab Emirates, London, UK, and Beijing, China. ETI is listed on the stock exchanges in Lagos, Accra, and the West African Economic and Monetary Union (UEMOA) – the BRVM. The Group has more than 600,000 local and international institutional and individual shareholders. The Group employs 19,200 people from 40 different countries in 1,250 branches and offices. You can learn more about Ecobank Tanzania, its product and service offering and development strategy by reading TanzaniaInvest.com exclusive interview with Enoch OSEI-SAFO, Managing Director of Ecobank Tanzania.